Hello Naptimers! 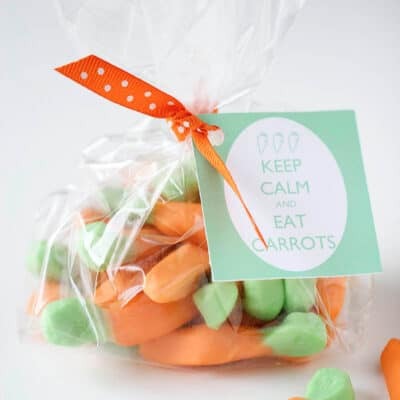 It’s Destiny from A Place for Us Blog and I’m back today sharing a super fun bunny treat bag for your kids Easter table! 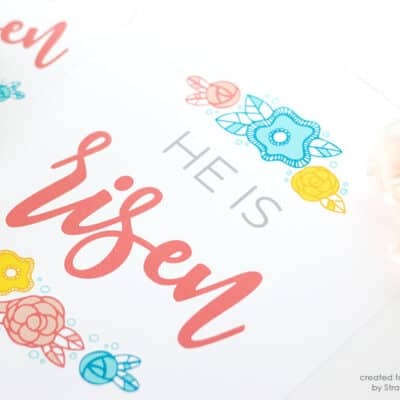 I’m not much of a scissors and paper crafter but every now and then I like to sit down and cut, glue and create:0) I encourage you to do the same thing sometimes, because you really never know what you’re going to get! 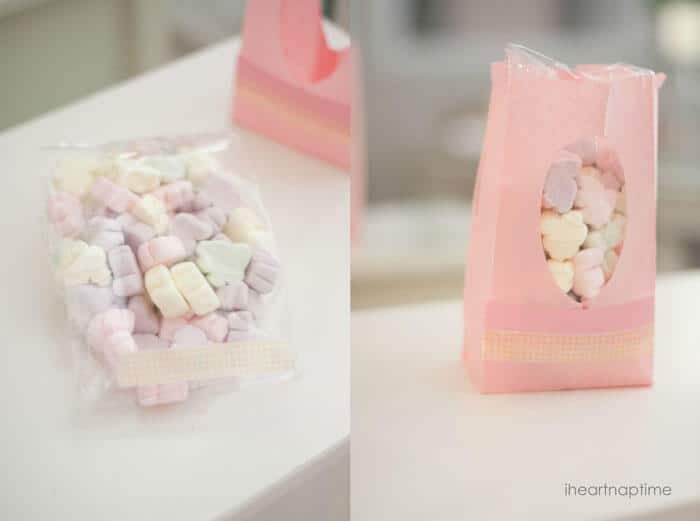 I ended up with some treat bags with a clear treat opening that I’m sure will look amazing on your Spring tablescape. Your going to need the following supplies…. 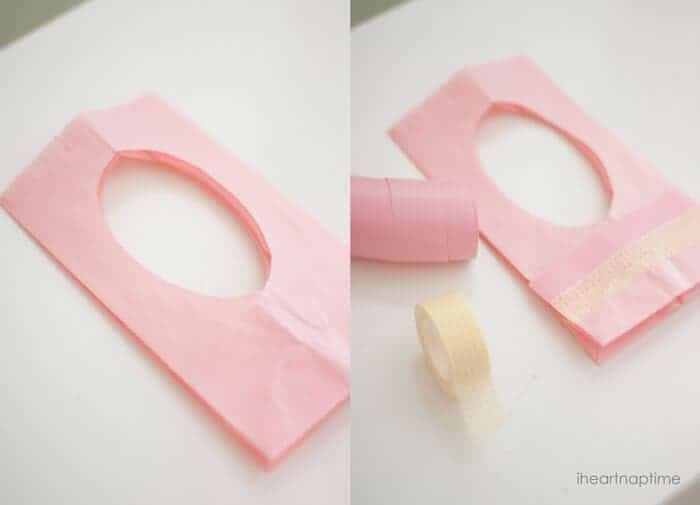 First take your paper bag, fold down the bottom, fold it in half and cut out an half egg shape in the middle, with out touching the sides. 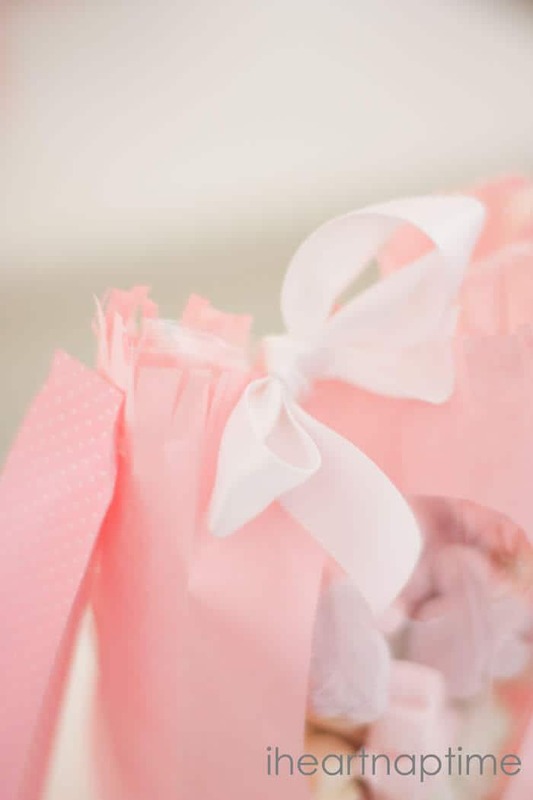 Now take your ribbon and ribbon tape to embellish the sides of the bag. 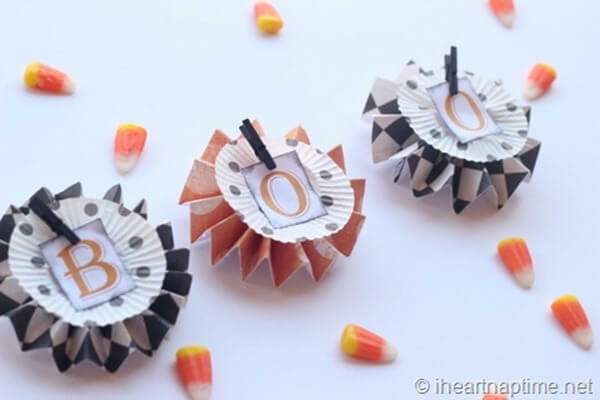 You can also use washi tape for this! 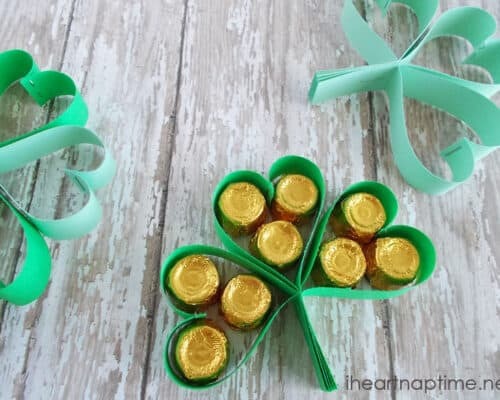 Take your cellophane bag and fill it up with coordinating candy. 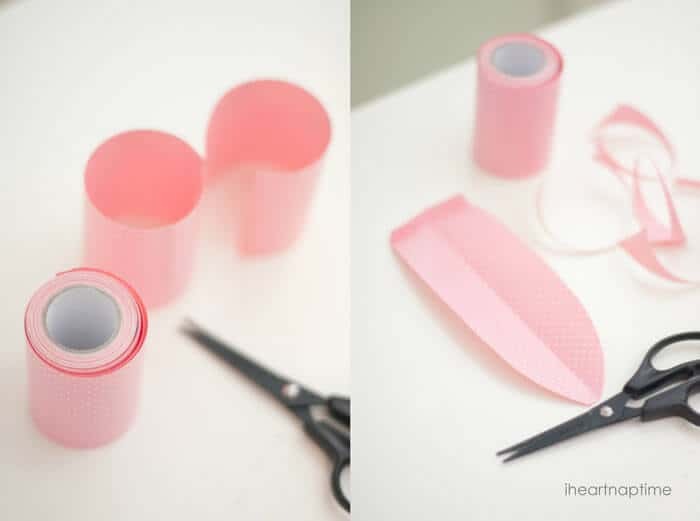 Fold the ends and secure with washi tape or glue. Place the cellophane bag into the paper bag. 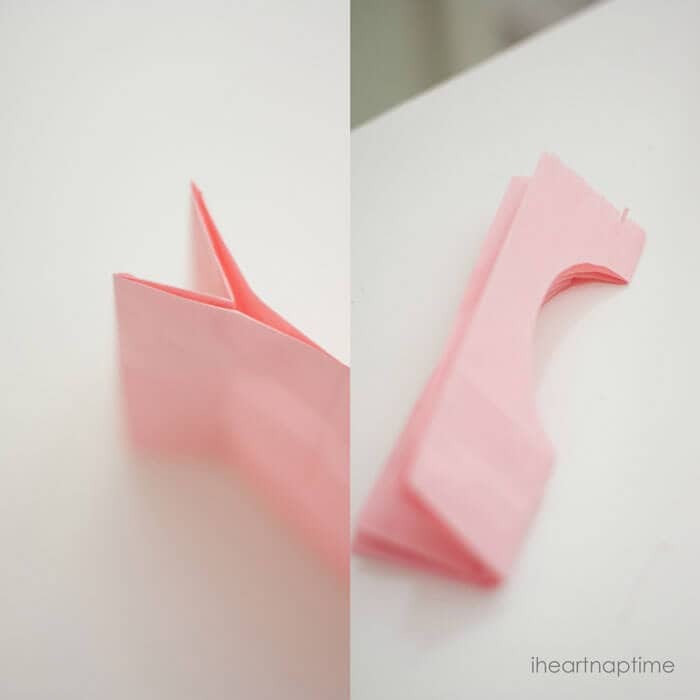 Now take your paper tape and cut 4 in stripes and cut out ears.Fold the ears in half, and fold a small bend at the top. Place glue on the bend and adhere to the side of the bag. Hold in place for about 10 seconds to secure. Do the same thing to the other side. This next part is optional! 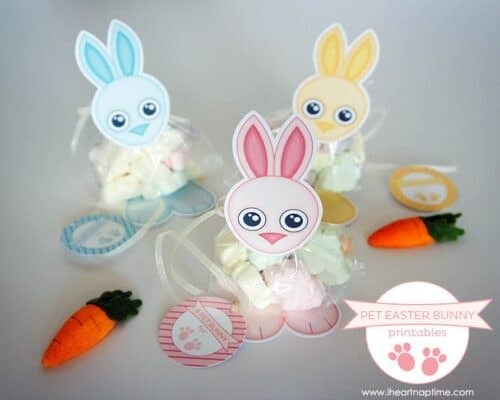 Next, cut out small eyes and whiskers for your bunny face using construction paper.Take your heart shaped sticker or construction paper and place the whiskers on the sticky side. Place the heart upside down onto the bag.Place on the eyes. Oh and don’t forget the cotton tail! With glue place cotton balls in bunches to create a fluffy tail. Thanks so much friends! Hope see you real soon! 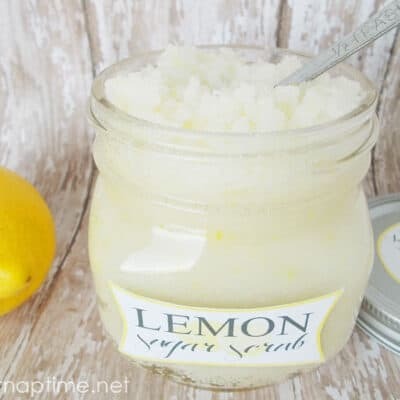 If you try this project let me know! Don’t forget to visit me over on Instagram daily or on Facebook! Adorable!! 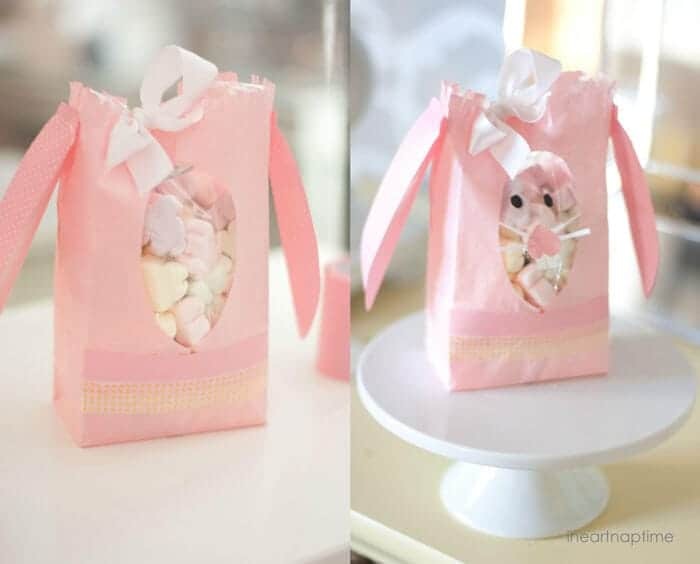 I love the pink bags made into a bunny!! Super cute!! oh these are so cute! 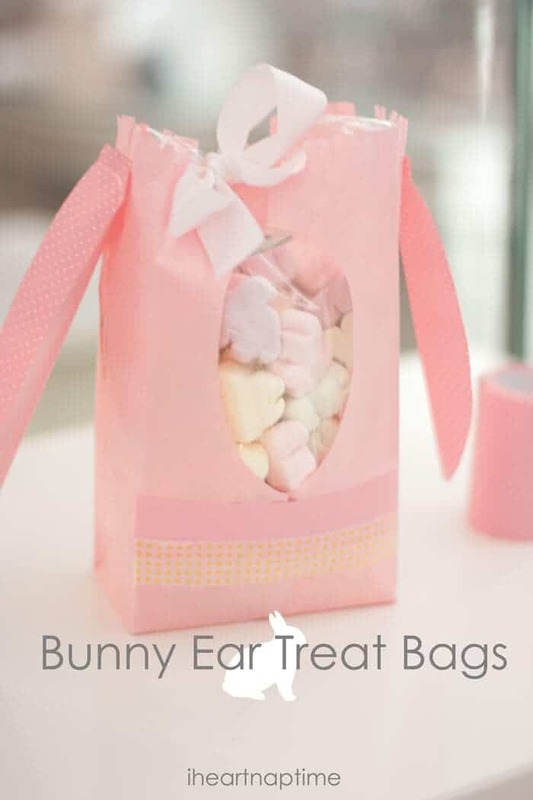 love the pale pink and easter bunny ears on the bag! so cute!